Ninety years after his death Paul Foelsche had his one man national retrospective exhibition in Canberra. South Australia has been rather slow recognizing its 'Great Achievers’, in particular those who were experts with the camera, among other things. It is only very recently that some South Australians got to know about Sir Hubert Wilkins and his many world wide extraordinary achievements. One of these was his work as a photographer. Even fewer South Australians have heard about world renowned Anton Bruehl, son of Dr Siegwardt Bruehl of Hawker. He too was a photographer, but by the age of 19 had left for America. Although there are hundreds of pages on the World Wide Web about his work, sadly the South Australian connection is missing. Herbert Basedow, Adelaide born anthropologist, author, geologist, medical practitioner and long time House of Assembly member for Barossa is better known, but not for his archievements as a photographer. While leading scientific and mining expeditions and as chief protector of Aborigines in the Northern Territory he took thousands of photographs. Most of these recorded the lives and cultures of different remote Aboriginal groups. Another photographer not recognised for his photographic skills until a few years ago, even though he acquired and practised them in Australia, was Paul Foelsche, long time Inspector of Police and charged with setting up the Port Darwin Police Service in 1869 at the age of 39. 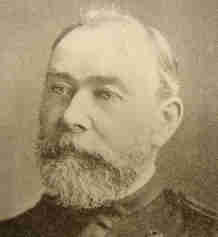 Paul Heinrich Matthias Foelsche was born on 30 March 1831 at Moorburg Germany the son of a rope maker. Instead of following in his father’s footsteps he joined the army at the age of 17 and saw some action against the Danish. He arrived in South Australian on 26 October 1854. Like so many others he was soon on his way to the Victorian goldfields. He most probably was not all that successful as in late 1856 he joined the South Australian Police Force. When a new police station was completed at Strathalbyn in September 1858, Constable Foelsche took up residence. While at Strathalbyn he became an expert at making rifle sights and gun stocks as well as colouring rifle and gun barrels. He also acquired a considerable reputation as a dentist. However most of all he was recognised for his excellence as a photographer. While at Strathalbyn he married Charlotte Georgina Smith, the 20 year old daughter of the local carpenter, on 5 January 1860. They had two daughters, Emma Rosie in 1860, who later became Mrs Stevens and Mary Jane in 1863 who became Mrs Andrews. While at Strathalbyn Foelsche became a Freemason and also obtained the rank of Corporal. After a creditable career there he was transferred to Palmerston (Port Darwin) in 1869. Promoted to Inspector he earned £230 a year. The South Australian government really had a bargain. At this price they had a capable officer, who established a police force thousand of kilometres away from its Adelaide headquarters. Because of the immense distance from Adelaide, Foelsche was given full control over its organization, including promotions, dismissals and postings. After he had established himself and built a home he was joined by his wife and daughters in 1871. Foelsche fully justified his appointment by the capable and resourceful manner in which he carried out his many onerous and responsible duties far away from headquarters and amid very trying conditions. When he was selected for the post his friends regarded him as the best man for the job. When Governor Lord Kintore travelled to the Northern Territory he spoke very highly of Foelsche as an intelligent and efficient officer. Inspector Foelsche was a many sided man. Apart from his skills already mentioned he made a systematic study of the customs and languages of the Aborigines, which gave him a great advantage in dealing with the natives. It was also during his time in the Northern Territory that he took hundreds of photographs of Aborigines, either in the field or in his studio. Nearly a hundred years later it is finally recognised that Foelsche has provided ‘one of Australia’s most valuable historical treasures, which documents in pictures the birth and early development of Port Darwin and Foelsche as one of the most significant colonial photographers’. Foelsche did much to advertise the Northern Territory by sending pictures of its scenery, gold mines, as far away as Pine Creek, plantations and native inhabitants all over the world. His work was shown at exhibitions in many of the world’s major cities between 1870 and 1900. When not occupied with police duties or his photography he still found time to be involved in many other aspect of the Territory’s life. He was one of the founders of the Port Darwin Freemason’s Lodge. When in May 1896 Lodge No. 41 was established its Consecration was carried out by the foundation Master W. Bro. Paul Foelsche under a special warrant from the Grant Master in Adelaide. In 1900 the Past Grand Rank was Conferred on him. He was also interested in religious and church work. For many years he served as a Magistrate. For ten years he presided over the Local Court at Burrundi and for four years over the Palmerston Local Insolvency and Police Courts. During this time he was also Chairman of the Licensing Bench. One wonders how much his wife and two daughters got to see of him. When he retired from the force in 1904, after nearly fifty years of service, it was said that he had been an excellent example of those pioneers of civilization connected with the Public Service, who have in so many outposts upheld and advanced the cause of civilization and the British Empire. Although retired from the force, he certainly had not retired from his many other duties. In 1911, at the age of 80 Foelsche wondered if it would be possible for a younger Brother to represent the Grant Lodge. Paul Foelsche died three years later on 31 January 1914 and was buried in Darwin. It took ninety years before his contributions to history, anthropology and photography were fully realised and to have an exhibition of his work in Australia!!! His name is now perpetuated in Mount Foelsche, Foelsche River, Foelsche Headland, Foelsche Street in Darwin and Eucalyptus Foelscheana.